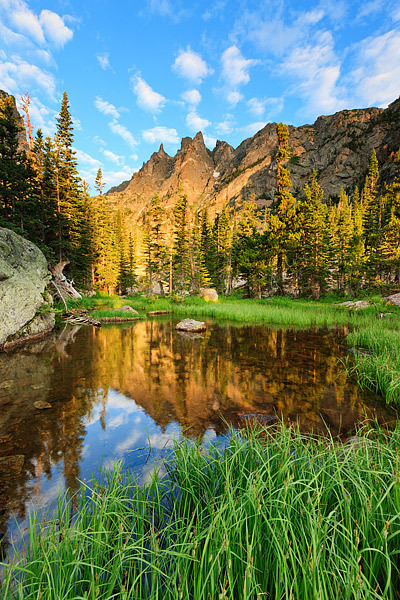 The morning sun illuminates Flattop Mountain in Rocky Mountain National Park. Flattop Mountain reflects in a small tarn formed by Tyndall creek, just below Emerlad Lake. Clear blue Colorado skies greet the photographer this peaceful morning in Rocky Mountain. Photo © copyright by Thomas Mangan.